The Alluvion office building designed by the Buchan Group in Perth's CBD has been awarded a 5 Star Base Building NABERS Energy rating, making it one of the most energy efficient office buildings in Western Australia. Broad Construction Services was awarded the Design and Construction contract to build the 22 storey, 22,400 sqm A-Grade development. The office tower is in the west end of the Perth CBD. The tower rises from a podium and is compact and regular inform. A three level high office foyer leads to a pedestrian plaza that links toa walkway system connecting the Convention Centre and Busport to Westralia Square. The plaza incorporates large scale public artworks, a waterfeature, and cafe. The office building rises above the plaza lobby, with aconstant floor plate of approximately 1900 metres squared perfloor. The $115 million building aimed for a 4.5 Star Green Star andAGBR Rating back in 2010 when construction was starting however stakeholdersworked closely to ensure that the NABERS target was met and exceeded. 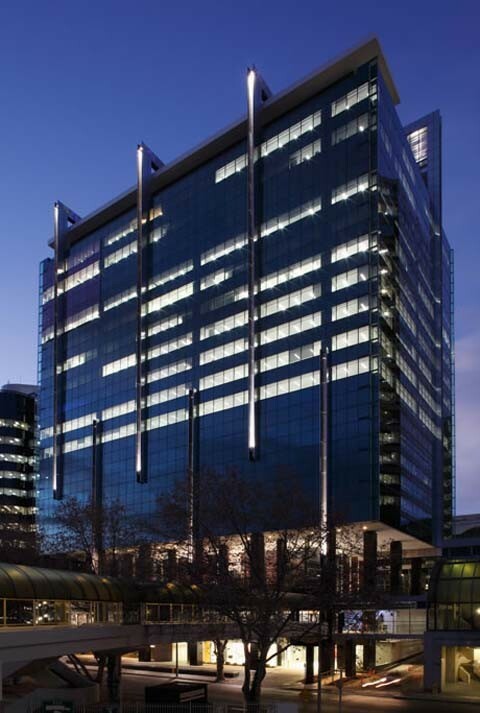 “This is a fantastic result for all involved in the project.With approximately only one in ten office Base Building NABERS energy ratingsattaining their target in the building’s first operational year, Broad WA has,so far, achieved a 100 per cent success rate of delivering and exceeding ourclient’s desired NABERS targets”. Jones Lang LaSalle General Manager, Property & AssetManagement WA, Tim Boden agreed with the sentiment.